Returning to the Lyric for a seventh Christmas run after six years of sell-out success, Raymond Briggs' famous Christmas story returns to the smallest stage of the Hammersmith theatre in 2018. Pins And Needles' festive stage adaptation is based on the book created by the London-born author and illustrator in 1973. Briggs' Father Christmas is as enchanting as it was 40 years ago, portraying Santa as a rather grumpy, discontented figure. In this adaptation the popular children's tale is told using puppet theatre and live music to create a wonderful seasonal outing for those under 6. Barry McCarthy, who plays the lead as, "a homely, flesh and blood old chap who snores, feels cold, goes to the loo..." (The Stage), reprises his role as Father Christmas. 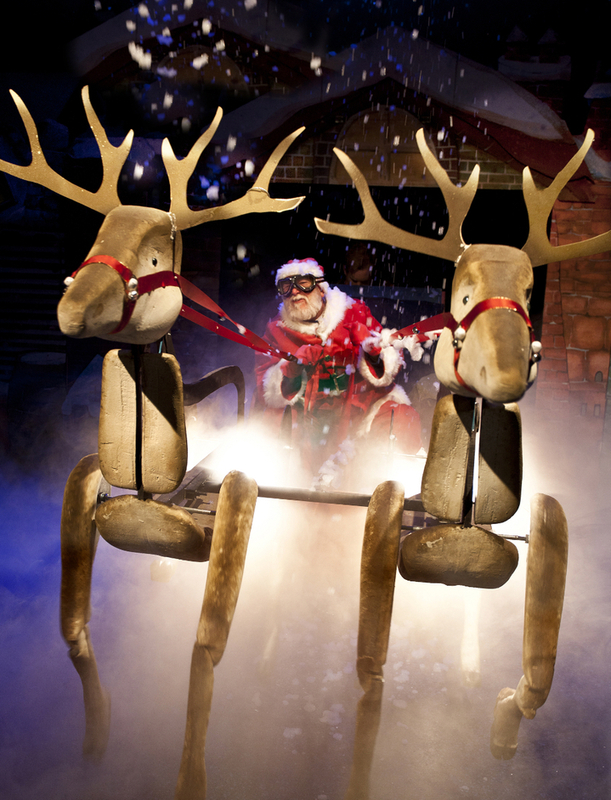 What are the best dining options near Raymond Briggs' Father Christmas London? Raymond Briggs' Father Christmas gyms, sporting activities, health & beauty and fitness. The best pubs near London Raymond Briggs' Father Christmas. Raymond Briggs' Father Christmas clubs, bars, cabaret nights, casinos and interesting nightlife. Where to have your meeting, conference, exhibition, private dining or training course near Raymond Briggs' Father Christmas. From cheap budget places to stay to luxury 5 star suites see our deals for Lyric Hammersmith hotels, including Chiswick Rooms from 0% off.